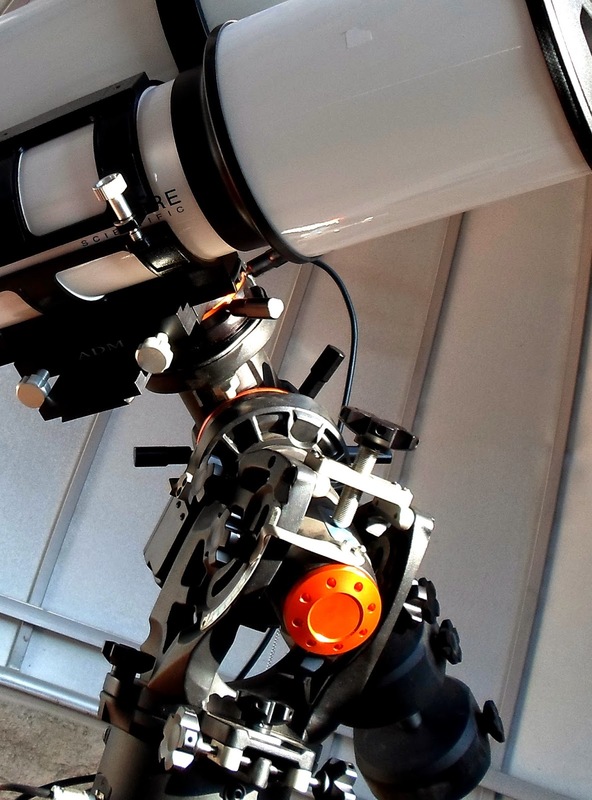 ASTRONOMICAL TOURISM IN CHILE GETS A NEW KIND OF OFFERING : WATCH THE SUN IN LIVE ! 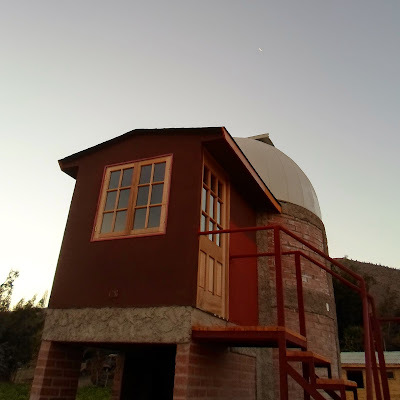 On past June, 2014, the great solar observatory of Chile (in spanish Gran Observatorio Solar de Chile, or GOSCh) has been officially inaugurated, in Vicuña (Region of Coquimbo). This is a public facility entirely dedicated to the Sun watch, allowing the visitors to witness in live the constant activity of our star, and discover the solar surface in conditions never available before. 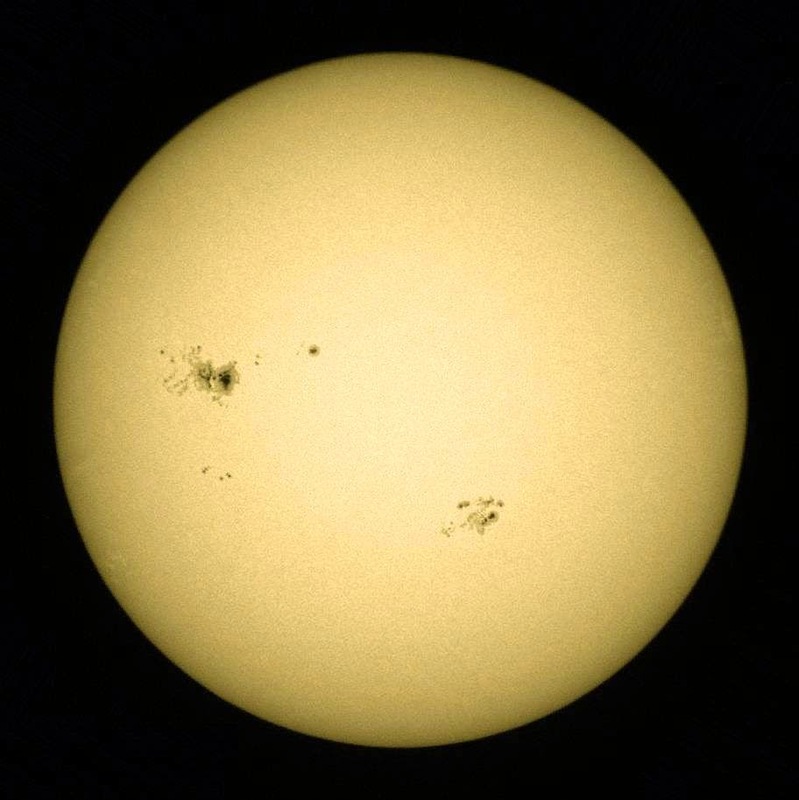 Observing the surface of the Sun requires a specific technology, quite distinct from the classical astronomical telescopes. Not only we must block the extreme luminosity of the Sun, but we got to select the convenient wavelenths of the sunlight, according to the successive features we want to see, and indeed there is plenty of them to watch, such as the famous darks spots, the long serpentine obscure filaments, the bright local eruptions, or the always stunning prominences escaping to open space. The GOSCh offers a rare opportunity to watch the solar surface in optimal conditions, by hosting a Lunt Solar Systems, 230mm aperture H-alpha telescope (labelled LS230THa). This is an exceptional instrument, not only for its state-of-the-art "H-alpha" technology, but also for its size, namely the largest available of its kind in the world market. As a matter of fact, only 7 units of this model have been produced, and this one is the only one in the whole Latin America. 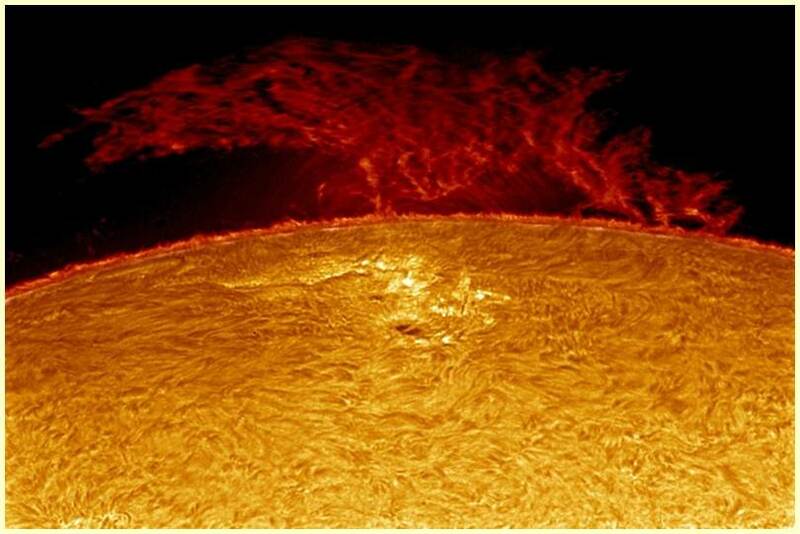 The telescope allows a stunning and unusual vision of the constantly "boiling" solar surface that always displays the dark, long so-called filaments, as well as the bright plages, that correspond to compact areas of extremely high temperatures. 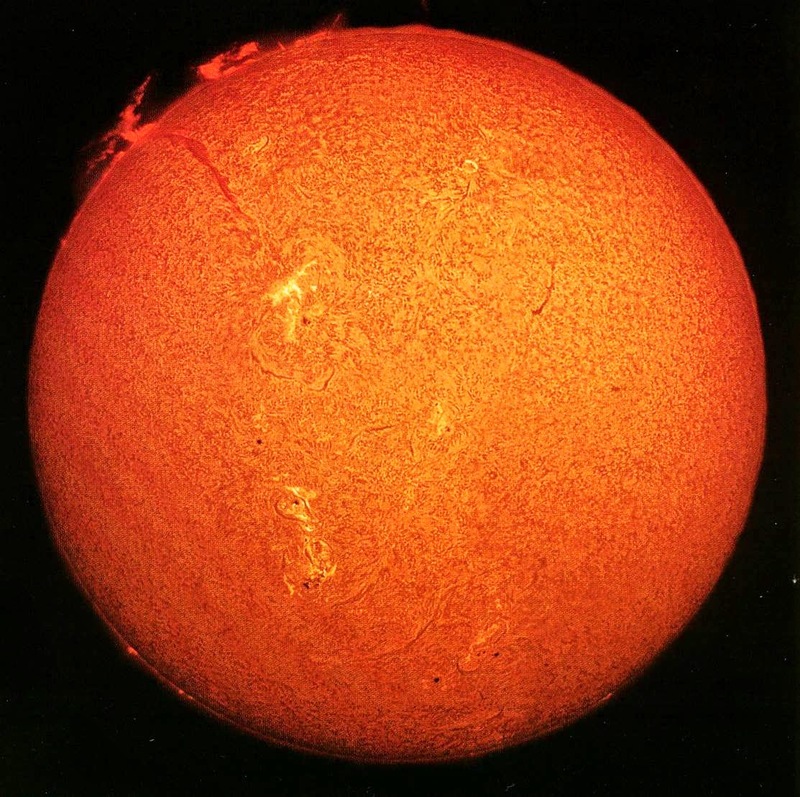 Of course we can see also the red, fast evolving prominences emerging from the Sun limb. Occasionally giant mass coronal ejections can be watched too, those powerful eruptions of plasma material that frequently outpasses the size of Earth!... On the same platform the observatory also hosts an Explore Scientific, 152mm aperture refractor telescope specifically mounted for watching in high contrast the famous sunspots, those black compact magnetic storms that change from day to day. 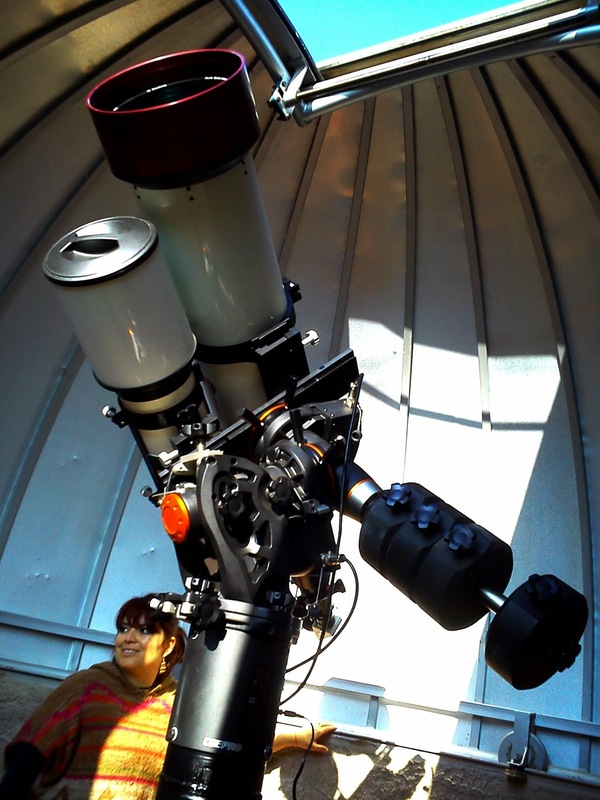 In total the GOSCh allows the visitors to discover the full set of the varied and complex activity of the Sun. 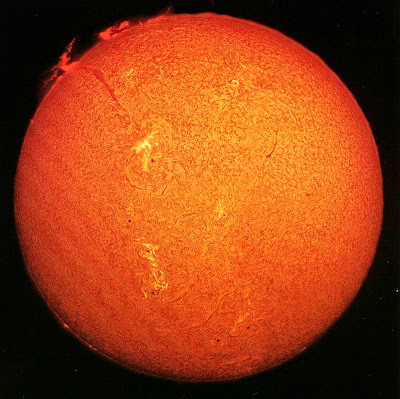 As to get an idea of the kind of spectacle offered, you can watch this video : despite coming from the NASAS's SOHO space probe, the images shown in the video render quite accurately what you will actually see through the telescopes, including the changes in the shape of the prominences, that can be easily witnessed in a few minuts. 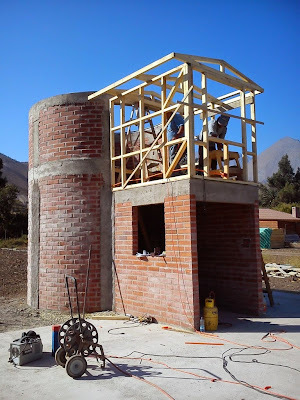 Initially planned for the capital city Santiago, and lately desired in San Pedro de Atacama, we finally succeed to make the GOSCh installed in Vicuña, a small town nestled within the Elqui Valley, some 64km (4 mi.) east of La Serena. This location has been selected both for the renowned local sky quality, and for the great amount of tourists that permanently visit the many observatories in the area. 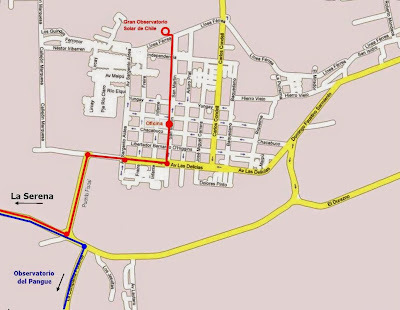 Conveniently located near the city centre, and granted with a moderate cost entrance fee, the GOSCh is intended to allow a varied public to access at high level Sun watch, such as tourists, educational personnel, or experienced visitors. 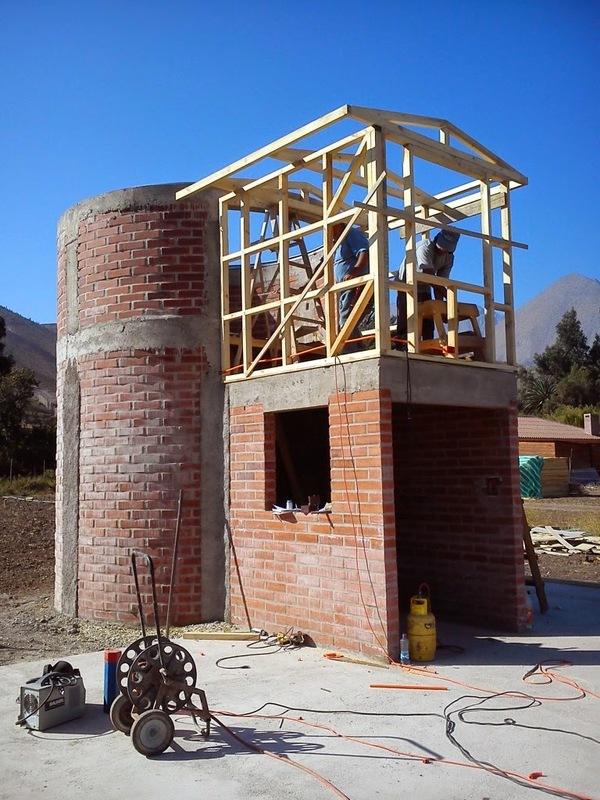 The GOSCh was funded by private foreign capital, but its management have been entrusted to "Astronómica del Sur Ltda. ", a chilean company specialized in astronomical projects, that is already running the well known Observatorio del Pangue. 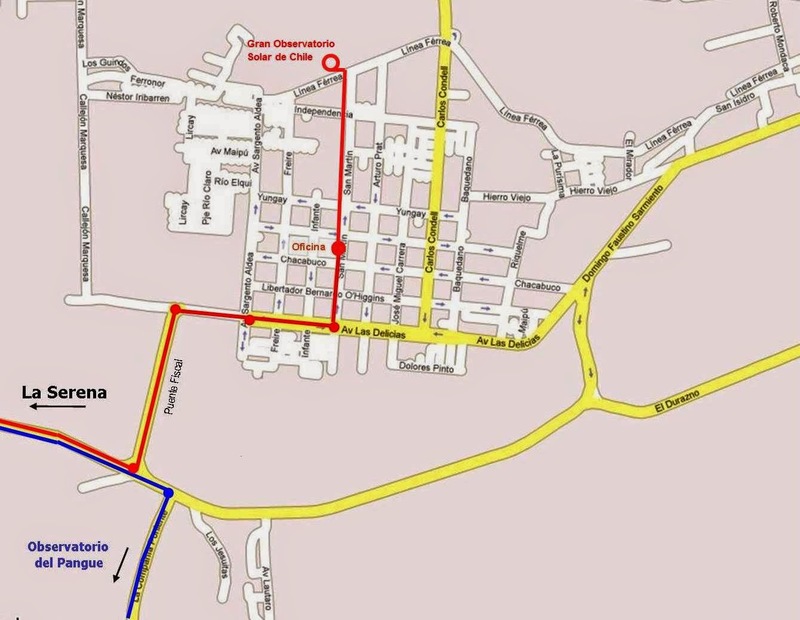 This implies that the GOSCh will benefit of a serious and professional treatment, and that the visitors will enjoy in the best way this new and entertaining offer from Chile. 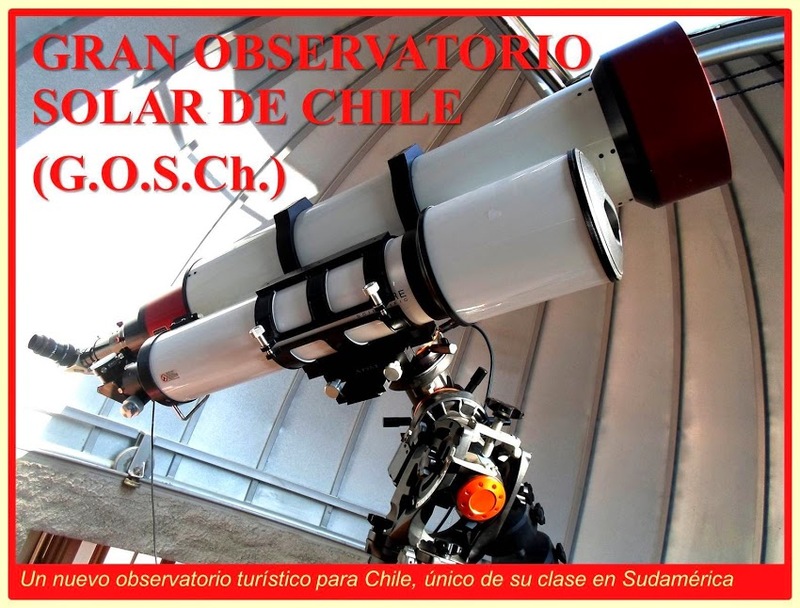 Lastly, it is assumed that this facility, one of its kind in Latin America, will contribute to promote the image of the country in astronomy: indeed every body knows that Chile is a world leader in terms of scientific astronomy (hosting the largest current series of giant telescopes), but still there is a long way to go as to improve its position in astronomical tourism, and there is no doubt that the GOSCh might help considerably to the task.